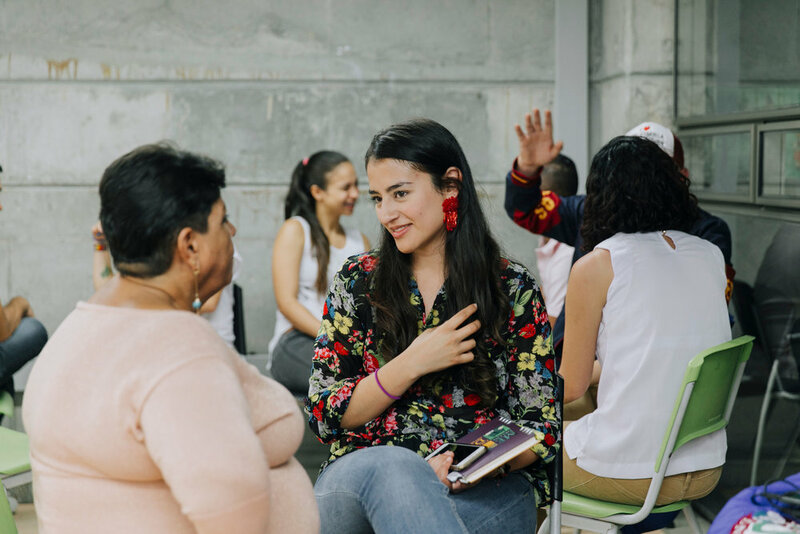 Leaders of the project Breaking Borders learn from the community leaders of the Color Tour in Medellin. Photo by Mateo Soto. 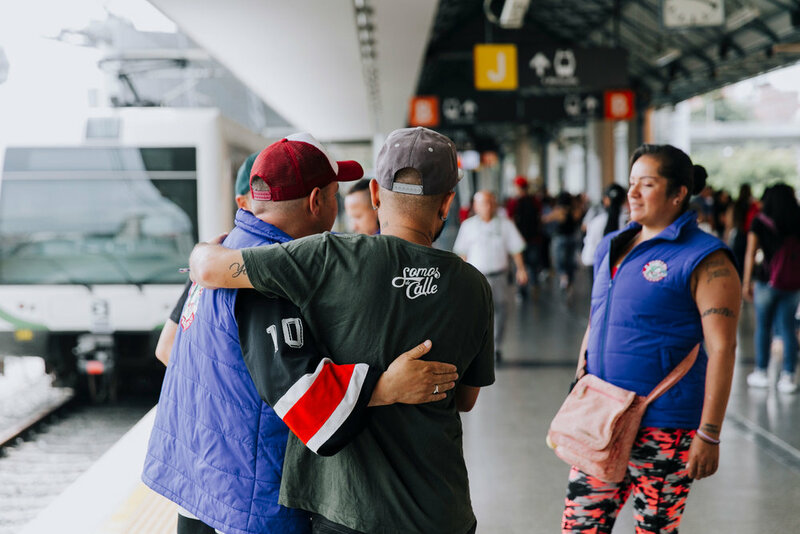 Back in May, I met former gang leaders who are now leading an innovative and popular tourism project, Breaking Borders, in what is considered one of the most dangerous neighborhoods of Bogotá. After walking around their neighborhood with them for several hours, I was moved by their story, their passion and their genuine hospitality... and I was surprised by how safe I felt the whole time. I was curious to know, despite the negative and dark stereotypes that loom over their neighborhood, what inspired them to bring tourists to the place they are proud to call home. Jamie (also known as Calabazo or Pumpkin in English) the founder of Breaking Borders. The puncture marks on his arm are from bullet wounds from his past life in the gangs. Photo by Mateo Soto. Carmen, one of Barro Egipto’s Cleopatras. The name of their neighborhood is Egypt in English, so they call the women leaders Cleopatras. Photo by Mateo Soto. Jaime (the founder of Breaking Borders) told me that when he was in jail for the fourth time he met two guys from a neighborhood called Comuna 13 in Medellin. They told him there were several leaders in their community that had avoided a life of crime and drugs by leading tours in their neighborhood. He decided that when he got out, he would never return, and tourism was going to be his way out of his dark past. One of the large scale art pieces found throughout Comuna 13. Photo by Mateo Soto. If you have done any travel research into Colombia, you likely have heard of Comuna 13. 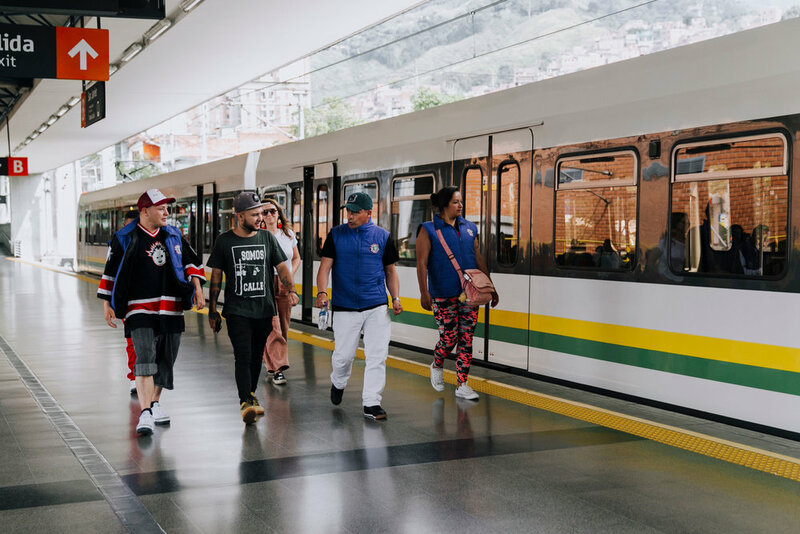 It has rapidly become one of the most popular neighborhoods to visit in all of Colombia (they had 17,000 visitors just in the month of August) because of its large scale street art and electric stairs. However, beneath it all is a riveting story of strength and resiliency. Expansive views of Medellín from the rooftops of Comuna 13. Photo by Mateo Soto.. Similar to the neighborhood Jaime is from, it was once considered the most dangerous in Medellin. The main road that cut through the neighborhood connected to the highway that was used to traffic drugs especially during the Escobar years. This meant they were often caught in the crossfire of drug lords and the police. 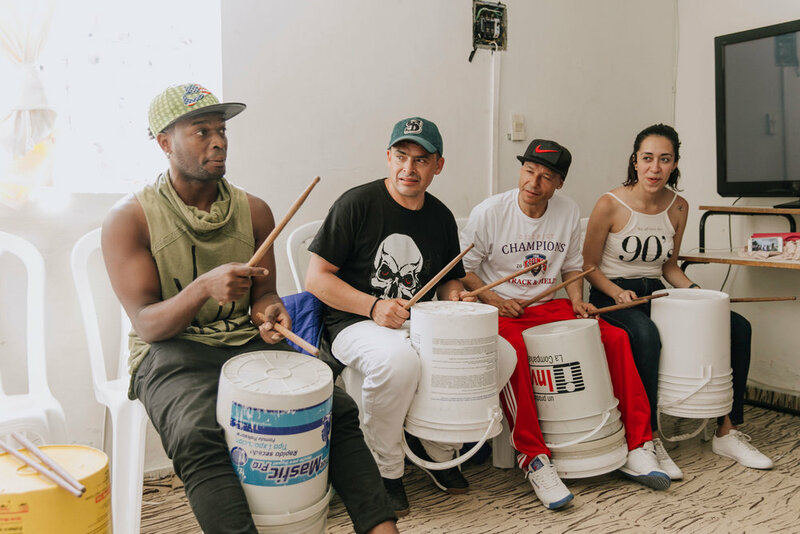 Dancers from Son Bata, a musical collective from Comuna 13 that leads tours throughout their neighborhood focused on AfroColombian culture. Photo by Mateo Soto.. 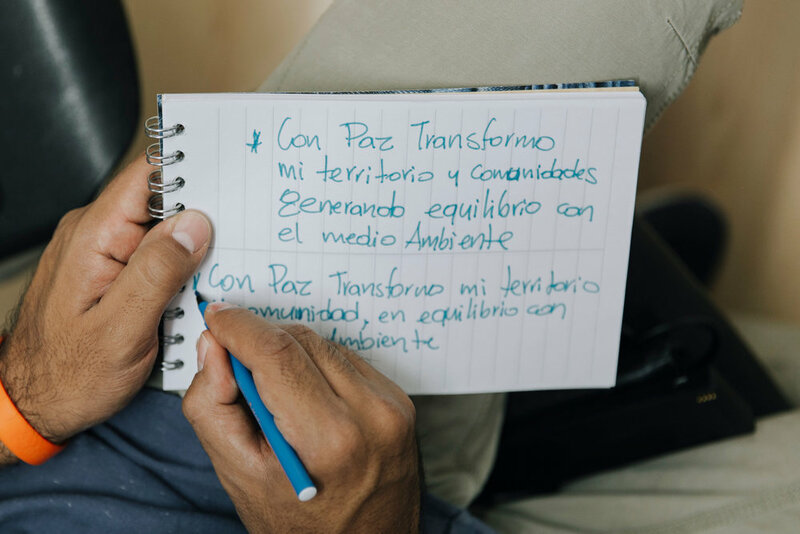 I immediately saw the parallels in the Jaime’s pursuit to create a better future for himself and his community and the dogged determination of the community leaders of Comuna 13 who pulled their neighborhood from the ashes. 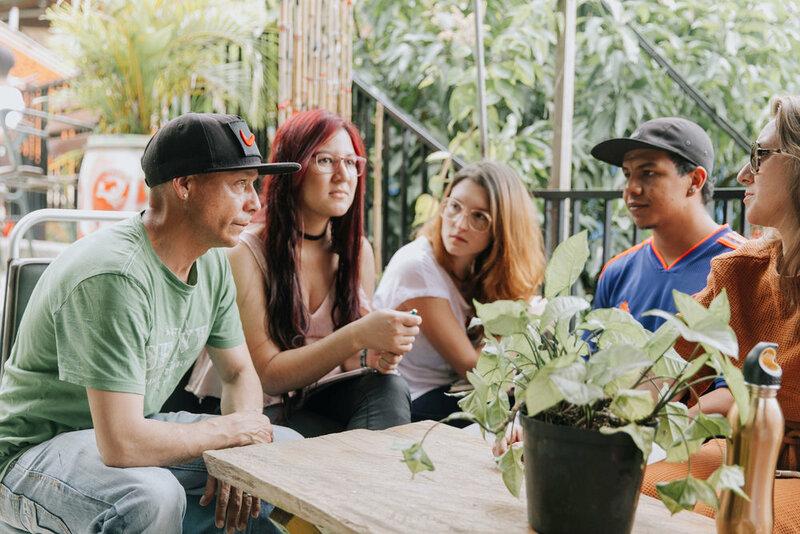 Four months later, Jaime and three other leaders of Breaking Borders boarded a plane for the first time to learn directly from Comuna 13 community leaders who have persevered despite the various societal barriers. Being part of the collaboration and the knowledge exchange that transpired over the next two days was one of my proudest moments as an entrepreneur. 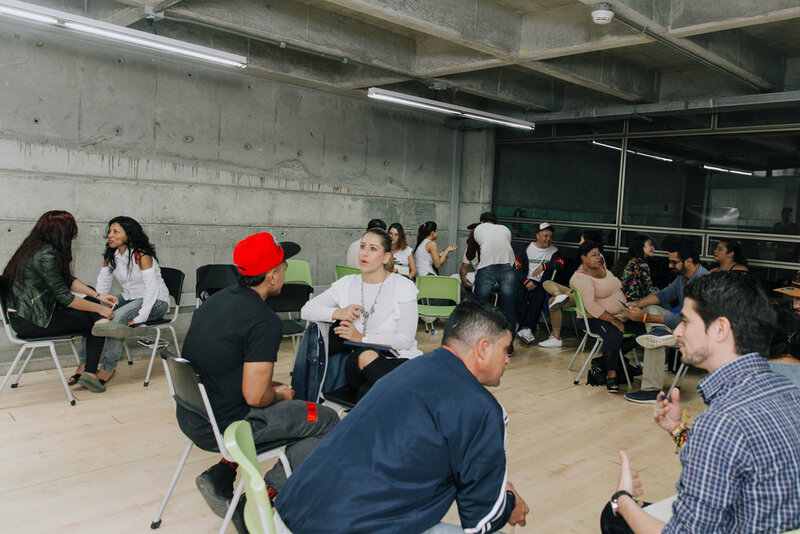 While El Camino and a few other partners simply found the resources to facilitate and organize the learning exchange, the true leaders during our time together were the community members themselves. These community leaders reminded me to never stop having crazy big ideas even if the odds are stacked against you and society has set you up for failure, because those crazy big ideas paired with your determination and grit are exactly what is needed to change a community, a city, a country, and even the world. These are the local leaders who are truly shaping the future of transformational travel. All photos by Mateo Soto. 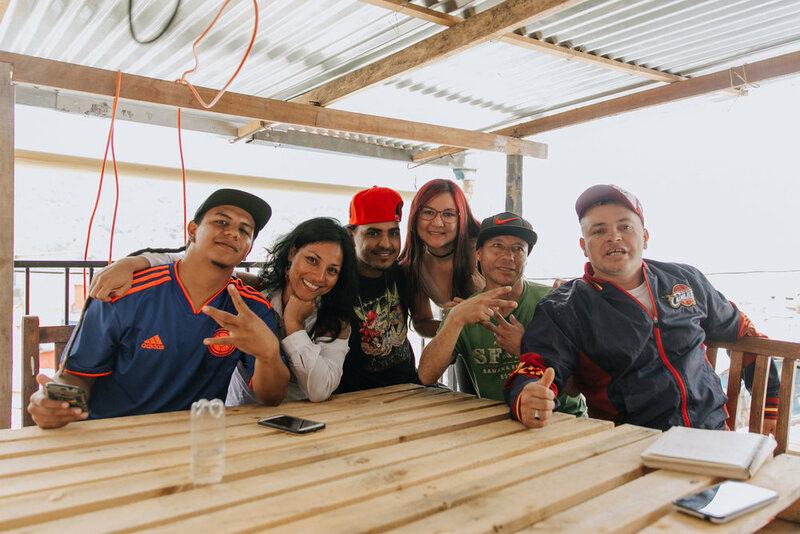 On day one, the leaders from Breaking Borders met with several community leaders of Comuna 13 (such as Kbala from Color Tour Medellín, Chota a local graffiti artist, and members of the musical collective Son Bata) to learn directly from them about how they have harnessed tourism to lift up their community and spur various entrepreneurial ventures. Community leaders shared lessons learned and best practices in community urban tourism as well as expressed their concerns about overtourism. While tourism has had an overall positive impact, tourism in Comuna 13 has exploded in the past year. It has brought a significant amount of economic activity, but the traffic and number of tourists going in and out of the community has disrupted community members way of life. 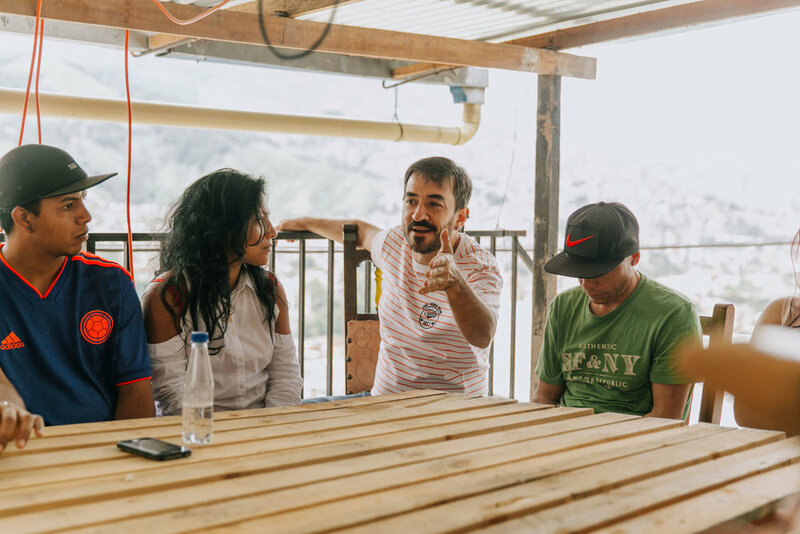 The leaders of Comuna 13 spoke candidly about the good, the bad, and the ugly that comes with quickly becoming one of the most visited destinations in Colombia, and the leaders of Breaking Borders got to see this firsthand. The day ended with a rap battle and dancing on a rooftop overlooking all of Comuna 13. On day two we hosted a hands on workshop focused on the theme of community urban tourism. We invited community leaders across the city to participate and share their experience and more importantly to learn from one another. 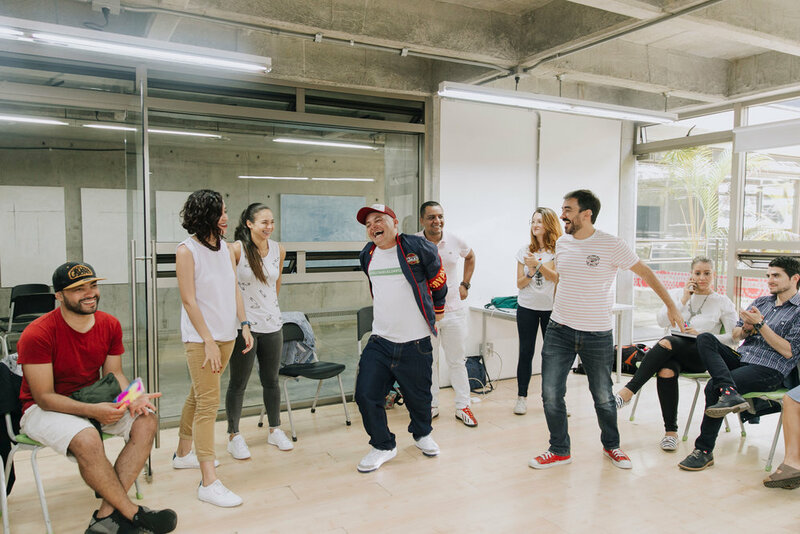 We had leaders from Comuna 1, Moravia, the Bureau of Medellín, ProColombia, local tour guides, and hotel owners all ready to learn and see how we could work better together to promote immersive cultural experiences that travelers actually seek and that truly have a positive impact on a community. The day was filled with exercises and activities to help participants think creatively and to “put themselves in the shoes of a tourist.” The latter activity asked participants to go and observe tourists in action, doing their thing, and then go up to them and ask them questions based on their observations. The objective was to learn by doing and to get them to think outside of the box. WHAT IS COMMUNITY URBAN TOURISM? THANK YOU! | MUCHISIMAS GRACIAS! This workshop and learning exchange were made possible with the generous support of ProColombia. WANT TO KNOW EVERYTHING NEW AND UP AND COMING IN COLOMBIA TRAVEL?